Special Offer: Any Kids Short Sleeve Tee and Hat for $25 Offer valid only at Lifeisgood.com through 12/31/19. Excludes sales tax and shipping. While supplies last. No adjustments will be made to previous or pending purchases. Offer applies to kids short sleeve tees and kids hats only. 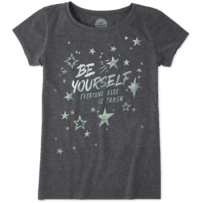 Excludes Kid's Art Contest tees. No cash value. Select products are excluded from offer. Eligible items are limited to the specific categories. Bundle items are subject to change. Void where prohibited or otherwise restricted. Discount is automatically applied. Not valid on Sale items. This offer cannot be combined with any other offers. Offer valid only at Lifeisgood.com through 12/31/19. Excludes sales tax and shipping. While supplies last. No adjustments will be made to previous or pending purchases. Offer applies to kids short sleeve tees and kids hats only. 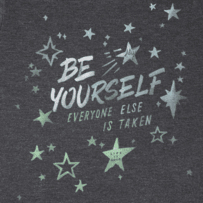 Excludes Kid's Art Contest tees. No cash value. Select products are excluded from offer. Eligible items are limited to the specific categories. Bundle items are subject to change. Void where prohibited or otherwise restricted. Discount is automatically applied. Not valid on Sale items. This offer cannot be combined with any other offers. 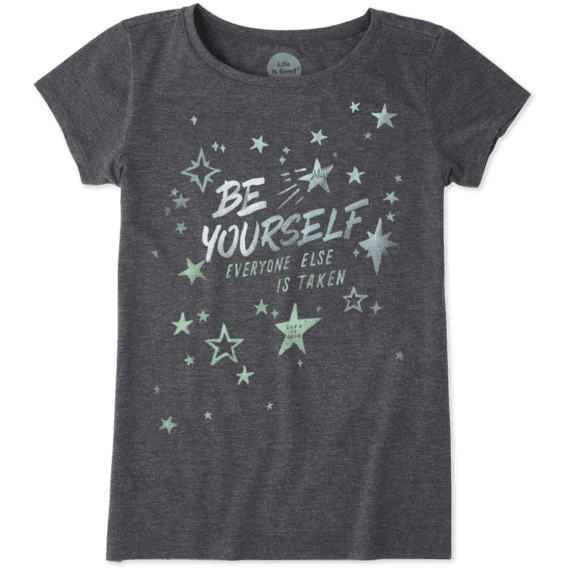 This tee was designed by Aly to inspire girls everywhere to be genuinely proud and confident of who they are. It’s light and airy, with a special burnout wash for ultimate softness. 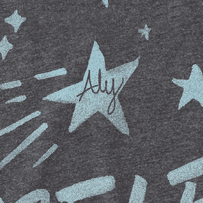 All in a vintage look and style you’ll love, and featuring Aly’s signature star too!